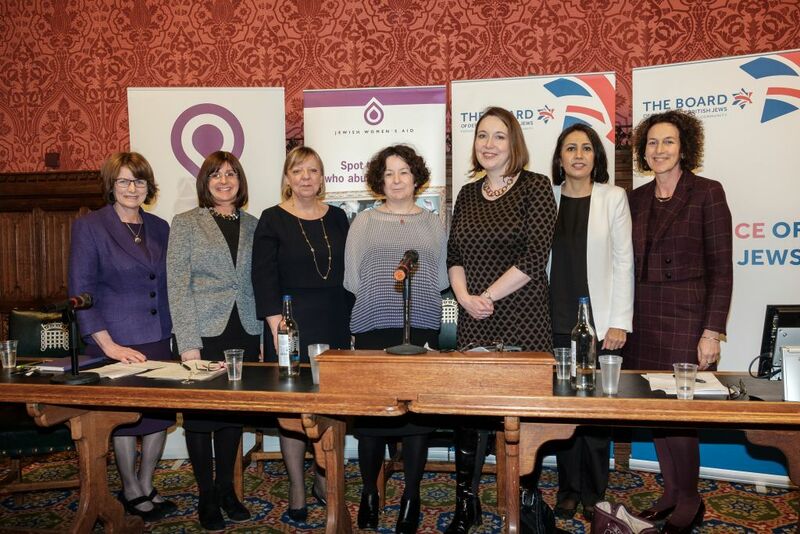 A groundbreaking seminar was held in Parliament highlighting the issue of domestic abuse for International Women's Day. Jewish women victims of domestic abuse tend to stay in such abusive relationships longer than the national average, it was revealed last week. And for Muslim women who wanted to report physical or emotional violence, it was often their mothers who were the greatest opponents of such reports. In a crowded House of Commons committee room, International Women’s Day was celebrated with a groundbreaking seminar on domestic abuse, co-sponsored by the Board of Deputies and Jewish Women’s Aid. Chaired by BBC Woman’s Hour presenter Jane Garvey, the event featured contributions from Naomi Dickson, chief executive of Jewish Women’s Aid, Shaista Gohir, chair of the Muslim Women’s Network, Dr Eilidh Whiteford, Shadow SNP Westminster Group Leader (Social Justice) and Louise Ellman MP, who represents the Jewish Labour Movement on the Board of Deputies..
Alison Saunders, the Director of Public Prosecutions, said that there were now “more prosecutions and convictions for domestic abuse than ever before”. She added: “We have worked very hard with communities and faith leaders on race hatred and religious hatred and we think that it’s also a great way forward to talk to communities about domestic abuse. Deputy Amanda Bowman thanked the speakers at the end of the event, on behalf of the Board of Deputies Social Action Group and Women’s Group.